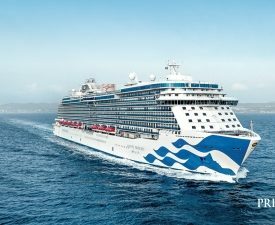 Let your Princess Cruises journey broaden your horizons and renew your spirit! 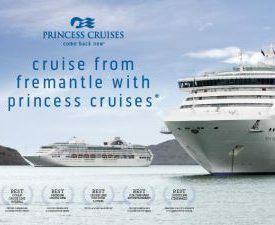 Step away for your everyday and reconnect with your life on a Princess cruise. Book with us, a member of Helloworld Travel, before 15 September 2018 to receive bonus onboard credit!! 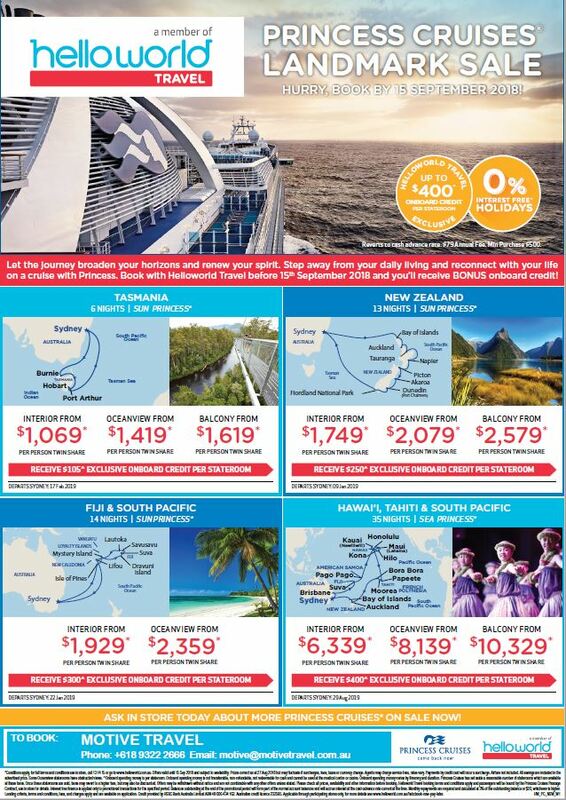 Click here for your printable Princess Cruises Landmark Sale flyer! Levels shown are for Sydney departures; Melbourne and Brisbane levels also available. I would like to receive the latest travel deals, news and travel inspiration from Motive Travel. The ultimate in racing tradition! Book soon for this thrilling F1 event! Copyright © Motive Travel. All rights reserved.